Nubia has launched Nubia Z17S smartphone in China. It has a 5.73-inch FHD+ full-screen display, powered by an Octa-Core Snapdragon 835 processor with 6GB/8GB of RAM and 64GB/128GB of internal Storage. Dual SIM device runs on Android 7.1 (Nougat) with Nubia UI 5.1. On Camera, It has a 12-megapixel rear camera with a f/1.8 aperture along with a secondary 23-megapixel secondary camera for 2x optical zoom and background blur. It also has dual 5-megapixel front-facing cameras. The Phone measures 147.46×72.68×8.5 mm and Weight: 170g.It is made of 7 series aviation grade aluminum alloy frame and 3D glass back that uses Corning Gorilla Glass protection with rounded corners. It has a fingerprint sensor on the back the can unlock the phone in 0.1 seconds Packed with a 3100mAh battery with support for 26W fast charging that can charge the phone up to 50% in 25 minutes. 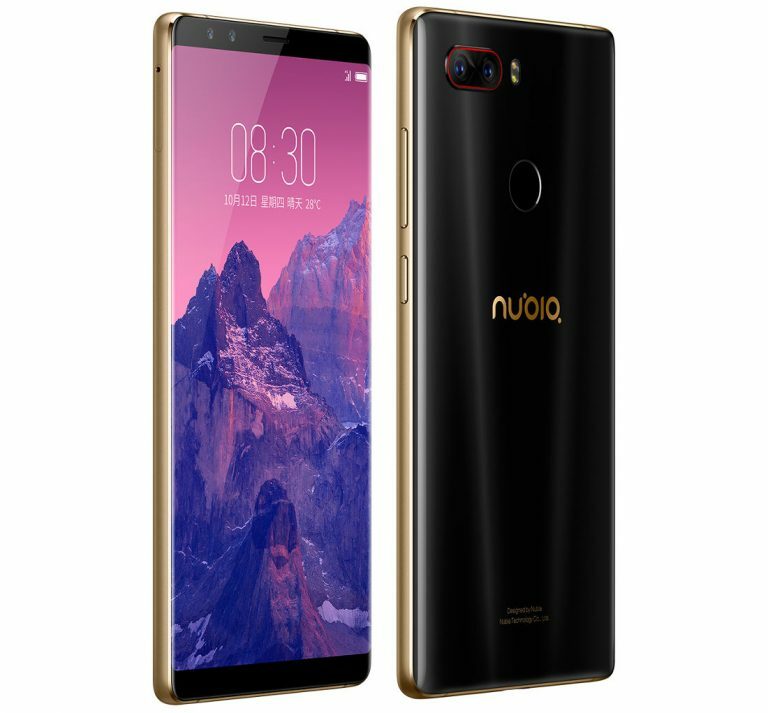 Nubia Z17S comes in Black and Blue colors, is priced at 2999 yuan for the 6GB RAM with 64GB storage version and the 8GB RAM with 128GB storage version costs 3999 yuan. It is available for order starting today and goes on sale from October 19th in China.